Thinking of the Best Valentine’s Day Gift Idea / Mother Day’s Gift Voucher idea / Birthday Present / Father’s Day / Christmas Day Gift / Wedding Gift / Special Spa Gift Ideas or just want to treat your loved ones to a pampering and romantic Spa session? Look no further as AFOND Spa Gift Voucher is the perfect choice for you! With a wide range of current promotions to choose from, and a generous 1 year validity for all Gift Vouchers and they can be utilized at any of our outlets in Singapore, you can be sure that there will be something that suits your budget and needs. 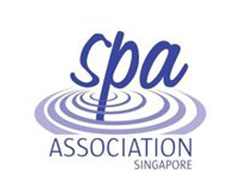 AFOND Spa Gift Vouchers are very flexible and there are many choices of different services or treatments, including individual or Couple Facial Spa sessions and full combo Spa Relaxation session with Body Scrub + Body Wrap + Massage and Jacuzzi Hydrotherapy. Our Gift Vouchers usually follows our current massage promotions or facial promotions , so you may choose from our wide range of promotions and find the best package that suits your taste. To order our Spa Gift Vouchers, just make online payment* through our 3rd party payment system via Visa or Masters, and we will process your gift vouchers via email correspondence, delivery of the vouchers is done via registered mail and takes about 7 working days. For all gift voucher requiring delivery, please email us with the following instructions after your payment so that we can process the delivery. 1) Recipient Name, 2) Recipient Singapore Mailing address, 3) Greeting message so that recipient knows why and from whom he/she is receiving a gift. Please take note that our vouchers are only valid for use in Singapore. Special arrangements can also be catered to, just be sure to highlight to our helpful staffs. AFOND Spa Gift Vouchers are also available for purchase at our outlet, just give us a call before your arrival and we will prepare everything for you. Overseas customers can also use this page for prepayment of reservations, just choose the right promotion and number of person, then email us regarding your preferred time and date. No vouchers will be delivered in such cases.